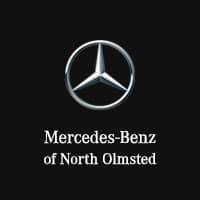 Mercedes-Benz of North Olmsted has worked ceaselessly to establish ourselves as a dealership of choice in Ohio, and we like to think we’ve made that a reality. Between our vast inventory of new Mercedes-Benz vehicles and pre-owned luxury cars, expert finance department, and trained technicians at our service center, there’s no limit to what we can do for our customers, and we approach every task with the Mercedes-Benz namesake at the forefront of our minds. 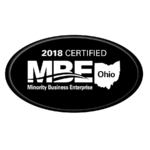 We know at Mercedes-Benz of North Olmsted, it’s the people that make the difference; our passionate team of Mercedes-Benz professionals have all contributed to making us the only Mercedes-Benz dealer in Ohio to be awarded Mercedes-Benz coveted “Best of the Best” award for 12 years, 2006, 2007, 2008, 2009, 2010, 2011, 2012, 2013, 2014, 2015, 2017 and again in 2018. Beyond accolades, our dealership is committed to giving back to the community that has done so much for us, as we strongly believe our success is linked with the growth of the community in which we operate. That’s why our executives serve on the boards and committees of several non-profit locations in the area, and why associates are encouraged to volunteer with charitable organizations of their choosing. Otherwise, Mercedes-Benz of North Olmsted provides various services and programs to benefit our customers, no matter why they come to us. Through our Service While You Travel initiative, for example, we can arrange to pick your car up directly from the Cleveland Hopkins International Airport, perform the necessary service, and return it for when you arrive. Our 5/30 Guarantee allows you to return your purchase to us within five days to receive a full refund or within 30 days for credit toward another vehicle. And our Worry Free Price promise means you can focus on selecting a car suitable to you, rather than stressing about haggling for a fair price. There’s no question that Mercedes-Benz of North Olmsted does things differently. Find out for yourself at 28450 Lorain Rd in North Olmsted, OH, or give us a call if you need assistance beforehand!